The weather in Florida this summer has been the wettest on record, and the world famous Mosquito Lagoon is suffering from it. Capt. Chris Myers reports murky water conditions due to all of the rain and runoff, so sight-fishing is out of the question. He recommends the D.O.A. 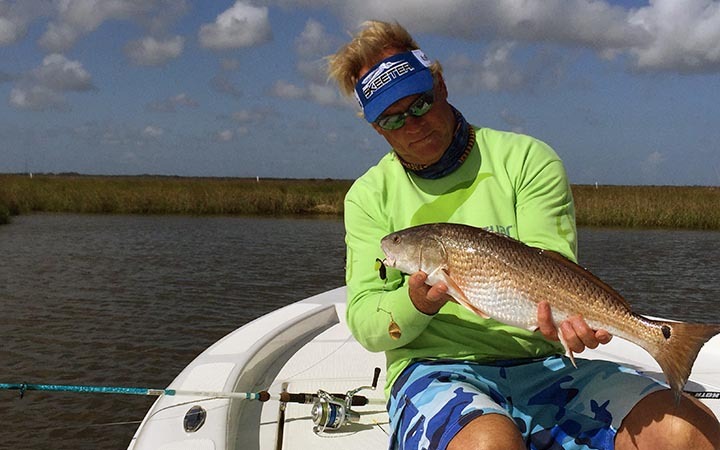 Lures Deadly Combo for small redfish and trout. He also throws the D.O.A. Lures CAL jigs for small tarpon.